258 pages | 31 B/W Illus. 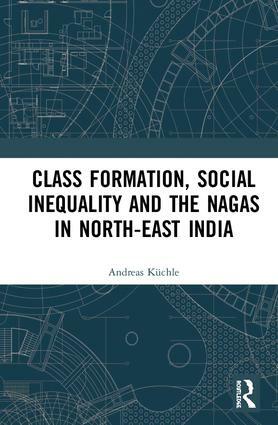 This book examines the question of class formation and social inequality within tribal groups in North-East India. Focussing on the Nagas, it analyses and challenges common perceptions about them as a class-less society with a uniform culture. It looks at the previously neglected themes of class formation and structure, division of work, emerging social milieus and cultural differentiation among the Naga youth – and presents fresh arguments about notions of modernity. Providing a theoretical understanding of inequality, this volume will be useful for scholars and researchers of North-East India, tribal studies, exclusion studies, sociology, social anthropology, political studies, development studies, cultural studies and South Asian studies. Introduction 1. Class and Social Inequality in a Multi-Dimensional Perspective 2. Socio-cultures: From the Naga Village to Peripheral Capitalism 3. Patterns of Cultural Differentiation 4. Class Structure and Class Reproduction 5. Career Patterns 6. Differentiation of Culture and Class in Nagaland. Bibliography. Andreas Küchle is a data science professional and an independent researcher affiliated with IAAW, Humboldt-Universität zu Berlin, where he completed his doctoral studies in social sciences.